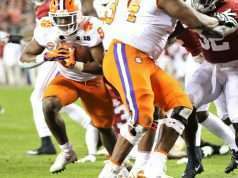 Clemson’s second drive consisted of one play – a 70 yard rushing touchdown by Tavien Feaster. Clemson’s first drive took 75 seconds and ended in a touchdown. AJ Terrell was ejected for targeting on punt coverage because the Louisville returner lowered his helmet into Terrell, forcing helmet-to-helmet contact. Clemson has effectively buried Louisville with a 35-3 lead at halftime. 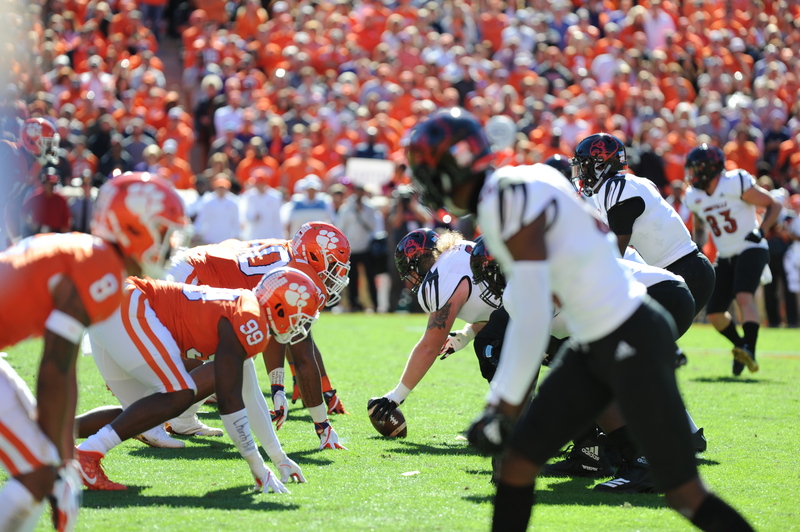 With the exception of one Lawrence interception and one bad drive, Clemson has sliced through Brian Van Gorder’s defense with extreme ease. The Tigers are still on pace to score 70 points despite inconsistent play. The game should be even more lopsided than it already is, the Tigers have not taken advantage of all of their opportunities. The defense allowed a field goal on a sixteen play, 73 yard drive that lasted over seven minutes. They have allowed more positive plays to the Cardinals than they should have due to a combination of missed tackles by the Tigers and missed holding penalties by the referees. How many players will Clemson play at quarterback? Chase Brice will see significant playing time, but Ben Batson, Hunter Renfrow, and even Christian Wilkins could line up under center.